This Plus Size Pop Art Cutie Costume will transform you into a retro comic strip character. Practice all of the dramatic things you'll say while in character! She loves Brad, but....But what? 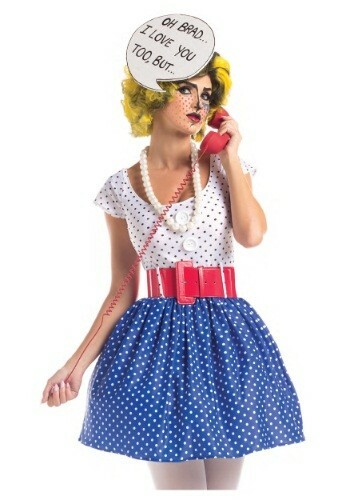 You can invent your owon back-story in this Plus Size Pop Art Cutie Costume. Bring a melodramatic vintage comic to life!